Working closely with construction and public works professionals. 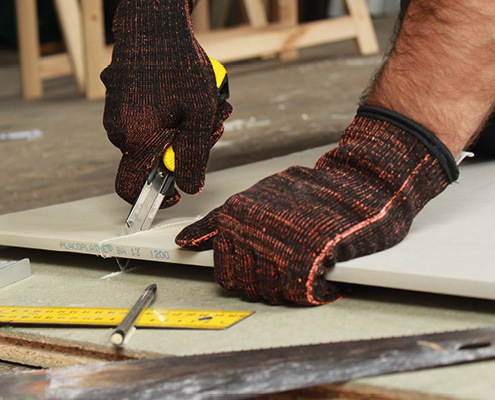 Construction gloves designed with the experts of every trade. 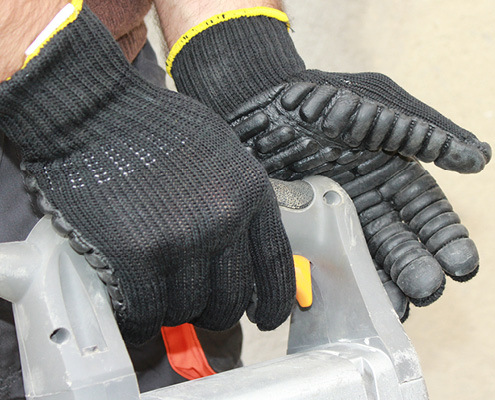 ROSTAING has built its reputation on designing gloves for every trade trade in the construction and public works sector, in close collaboration with experts and according to European standards. 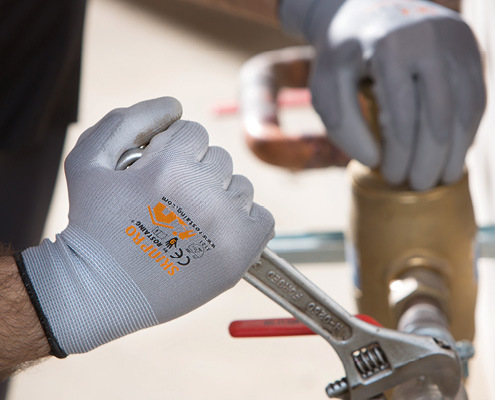 We demonstrate our expertise and our ability to pass on our unique customer and user experience by satisfying CAPEB and OPPBTP requirements and with our BATIMAT award for innovation in personal protective equipment. Our research department studies and tests with the best experts in structural work (mason, carpenter, roofer, builder…) and installation work (tiler, painter, electrician, joiner, plasterer, locksmith, floorer…). We can therefore offer the highest performing solutions. For businesses and craftsmen, we have designed a range to meet the specific characteristics of each construction trade that also ensures the multifunctionalaspect; everyday actions and movements can be performed precisely and safely. Protective accessories: earplugs, ear defender helmet, overalls, mask, glasses, over-glasses. 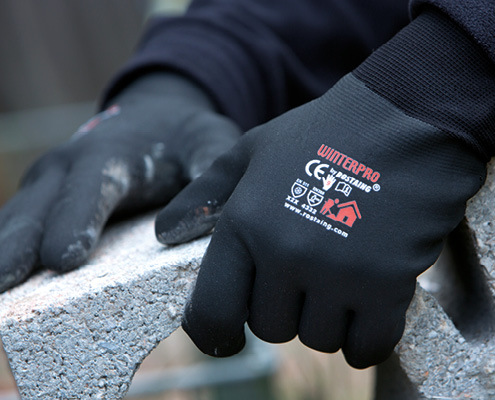 Recommended for safe hands by masons, tilers and roofers, 3 of our gloves have been designed in collaboration with CAPEB. They meet clear specifications and pass many tests. For your safety, they have been labelled by experts from OPPBTP after 6 months of intensive testing. CAPEB, the Confederation of Construction Craftsmen and Small Businesses, is the professional organisation that represents 350,784 artisan construction companies. OPPBTP advises, trains and informs over 231,800 member construction companies about risk prevention and how to improve working conditions. Our network of professionals at your service. 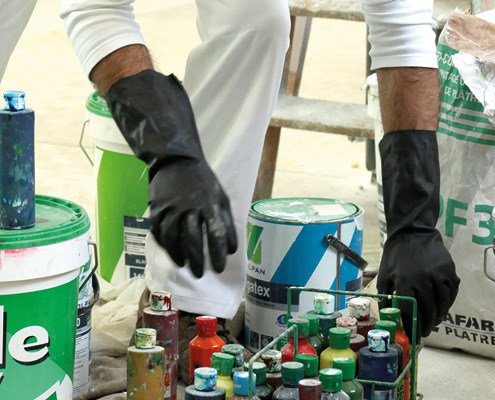 ROSTAING has developed partnerships with specialist distributors to bring you the best possible service. This shared commitment to quality is built around technical training programmes and safety standards. DYNAPRO is very well suited to panel cutting. 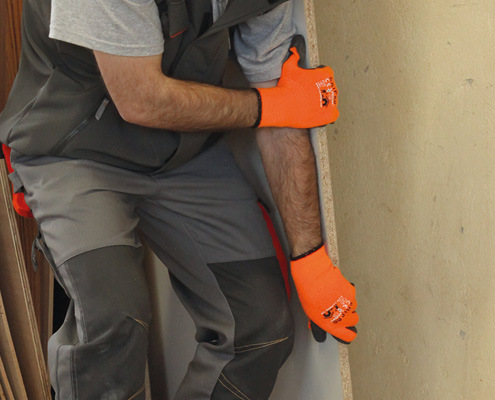 Excellent grip and maximum protection from cuts between thumb and index finger. I’ve been working with them for 2 months! 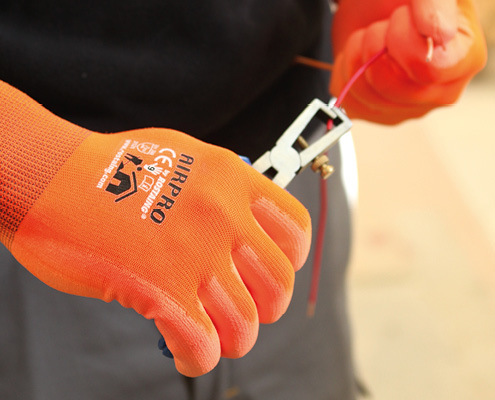 I have also used MAXIPRO gloves, which last a long time. 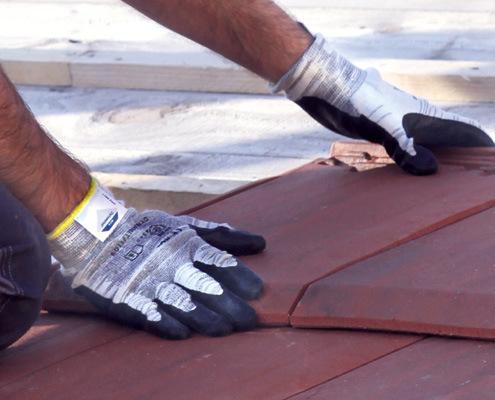 Our CONSTRUCTION and PUBLIC WORKS team is at your disposal for advice and to answer all your questions about construction gloves as quickly as possible.